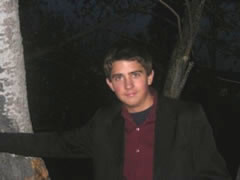 Philip Hartman became an entrepreneur when he was eight-years-old. That’s when he started building slingshots that shot both BB’s and arrows. Today, a home-schooled high school senior at the ripe age of fifteen, Philip spends most of his time cultivating two somewhat more advanced entrepreneurial ventures. One is a new system for fusing optical fibers that is cheaper, more efficient, and more dependable – an invention for which Philip won the 2008 Young Inventor of the Year award. The other is called Steam Viper. It’s a device that emits steam onto a windshield and is capable of defrosting a frost-covered windshield in about 15 seconds. As a sixth-grader, Andrew Fashion and a pal figured out a way to transform their mechanical pencils into miniature rocket launchers. Unlike most boys, they weren’t content merely using their invention to annoy teachers and fellow students. Instead, they started a business called Flaming Gold and handed out pieces of paper to their friends, advertizing their goods. It netted them a couple of dollars a day – until their school banned the pencils. Fast forward to 2005. Andrew had dropped out of high school and was spending his time developing websites online. After months of just scraping by, Andrew hit it big with ad revenue from his website, MySpaceSupport.com. He was pulling in $100,000+ checks every month. But after a few years of living the high life, the money stream from the site dried up and Andrew went from being a millionaire to being in debt. 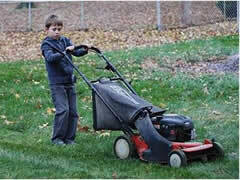 By the time he was in the eighth grade, at 13-years-old, Emil had taken out his first loan: $8000 to purchase a commercial lawn mower. He paid off his four-year loan in two years. It was the beginning of Motycka Enterprises, LLC (now Emil’s Lawns) – a company which currently provides work for about 65 people in Northern Colorado. Motycka Enterprises offers everything from building and janitorial maintenance to lawn care, tree care, snow removal, and even Christmas light installation. The company helped Emil to earn $135,000 his senior year of high school. Emil is currently a senior at the University of Colorado’s Leeds School of Business, in Boulder, Colorado. Saving $300 on books by using WeCompareBooks.com: priceless (actually it still costs $200, but you get the point).